This Scala bottle can hold up to 1 litre. 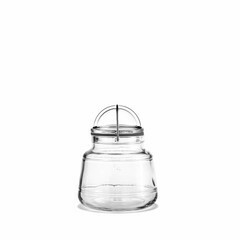 It is made of clear glass with decorative grooves. Besides being a design detail, these also serve as a measuring scale. 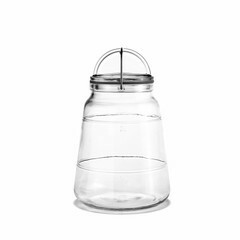 The bottle is airtight and can be used for storing fruit juice, milk, soup, etc., in the fridge. 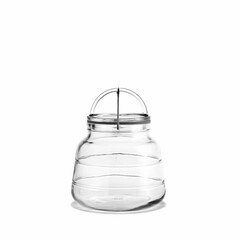 Organise your kitchen with the help of wonderful Danish design by Maria Berntsen. The bottle is dishwasher-safe. Dishwasher safe max 55 degrees C.